We print posters from A4 to A0, and custom sizes too. Same day collection or dispatch on all orders placed by 2pm. 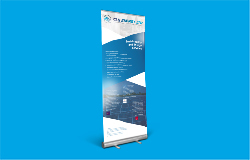 Fast turnaround, great value roller banners now from £41 each, with free standard delivery on every roller banner order. No nasty hidden extras! 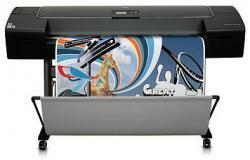 Printed display, lights, trolley case and graphic wrap all included. Prices from £395 ex VAT. Pre-pasted and ready to go! Get a price for some of our most popular products. You can also order online, or contact us for a tailored quote. London's fastest same-day large-format printers. Order before 2pm for same-day printing on most products. Place your order before 2pm and we'll dispatch it the same day! We offer nationwide next-day delivery from just £8.95 or same-day delivery to central London postcodes, with prices starting from just £15. We also offer free standard delivery on all orders. 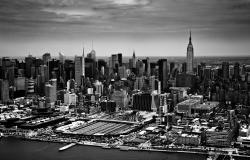 Standard delivery normally arrives within 5 working days from dispatch. Click here for more information on our delivery services. You can collect your order free of charge from our central London print shop, located at 124-125 London Road, SE1 6LF. Feel free to pop-in and see us should you require any advice about our products or services. However, for the fastest possible service, please use our LiveChat system for any questions and place your order online first, before collecting in store. 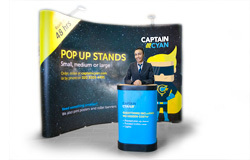 Call us on 020 3005 4495, use our LiveChat system, or email hello@captaincyan.com. A prompt response guaranteed!